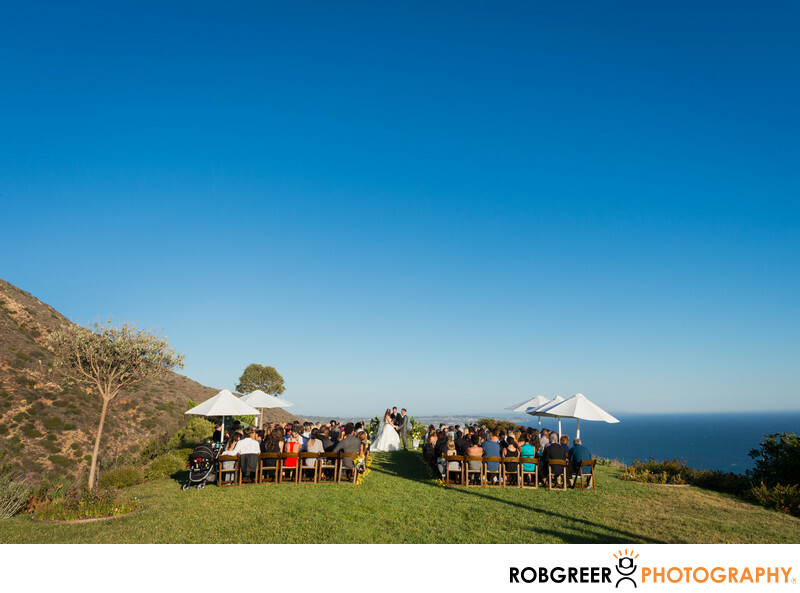 This photograph features an overview of a backyard wedding ceremony at a private Malibu estate. This wedding was photographed at a private estate in Malibu, California. 1/250; f/14.0; ISO 200; 24.0 mm.